I've got another drawstring bag today - but this one looks quite a bit different from yesterday's. 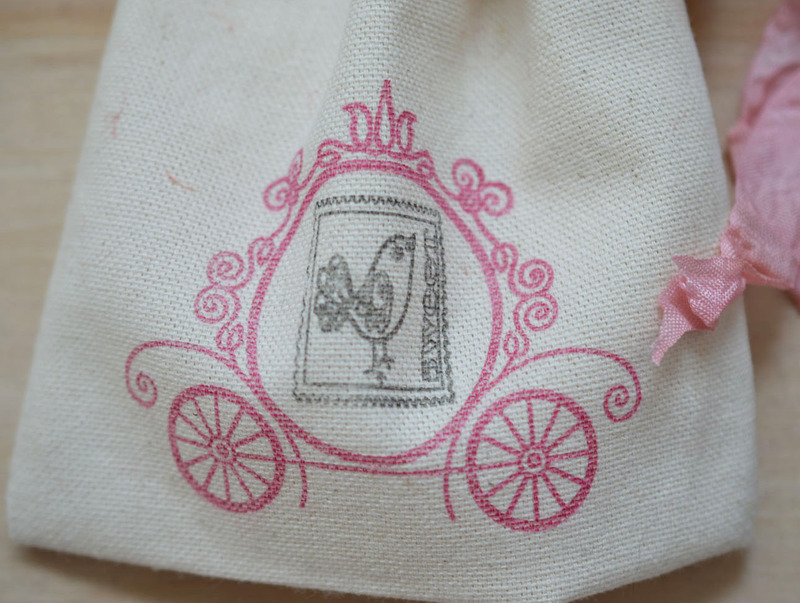 This one is made of heavy muslin and pink ribbon. 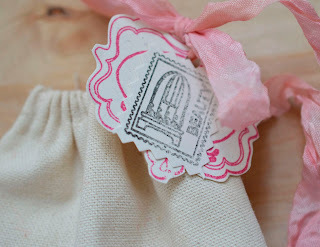 This one is the same in that features the brand new release stamps from Paper Sweeties. Isn't that a pretty carriage stamp? I love those sweet postage stamps, too! This is a perfect little bag to tuck in a "sweet little something" for a friend. The finished size on this is about 4 1/4" x 5 1/2". The new release stamps will be available tomorrow at Paper Sweeties. Today the Paper Sweeties blog is featuring projects showcasing the new stamps - be sure to take a look! Love the sweet drawstring bag! I like how you put the postage image in the center of the carriage. Another sweet project. Love it. 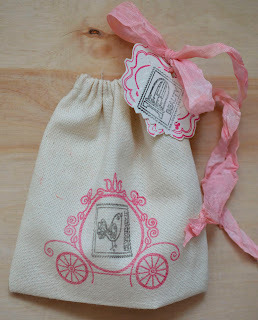 That carriage stamp is indeed adorable and I love how you used it here in your little gift bag Lori!